Relate: Here’s some unorthodox views of Jesus that you might find a bit startling. Or… one of these might be what you believe and what I personally would call orthodox is a view you are uneasy with. 1) The teenage Jesus left his homeland in Galilee and traveled through southern Asia. There he learned some yogic traditions and returned to become a guru to the Jews. When He says things like, “I and the Father are one”, Jesus is confirming the truth that everyone, through disciplined spiritual practice, can actualize their own universal god-consciousness. The Christian Bible in no way contradicts this since it says absolutely nothing about Jesus after his boyhood visit in the Temple until he began his public ministry at the age of thirty. 3) Jesus was a prophet. he was a messenger of God sent to the children of Israel to bring a new set of scriptures. To aid in his ministry to the Jews God granted him the ability to perform miracles beyond that of any other prophet from that time since. Jesus only appeared to have been crucified but in reality, because of his submission to God, was raised up to heaven. He never did claim to be the Son of God or to be God and such scriptures putting those words in his mouth are a corruption of what he truly said. One day Jesus will return to the earth to restore justice and to defeat the false messiah. 4) Jesus needs to be rescued from the Bible. The earliest and most accurate picture of Jesus has no need for all the mythological miracles added to turn Jesus into something far more than he really was. Even more important than this, however is that Jesus actually taught that the way to heaven was through a difficult path or working to live a good life rather than an easy path of simply believing in a salvation provided by his death. It is the original apostles, not Paul and the revisionists who twisted everything to conform to his doctrine. React: Each of these four views comes from writings representing a very large segment of our population. They are a paraphrase of 1) Hindu, 2) Buddhist, and 3) Islam. The fourth is disseminated from a website “Atheists for Jesus” and to one degree or another is representative of many liberal Christian, secularist, or atheist views. It is so easy for us, when presented with an opinion outside our box, to figuratively tear our clothes, throw dust in the air and start yelling like a Pharisee, “You were steeped in sin from birth. How dare you lecture us!” But Jesus Himself asked His disciples what others, not His disciples, had to say about Him. It is good for us to understand and learn what we can from as many sources as we can what people believe on this most important questions. 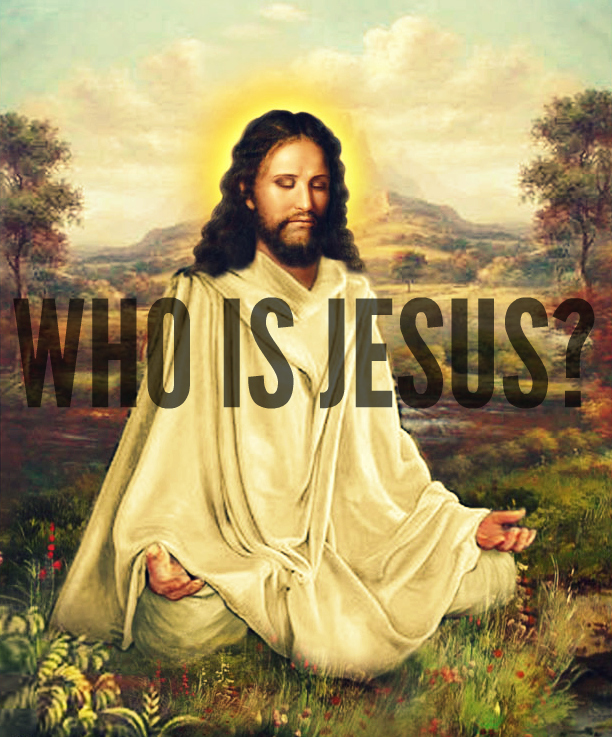 Respond: As good as that is, the most important question we can ask ourselves is who we say Jesus is. So, who is He? Who do you say He is? I like your premise, BJ. Keep up the good work. I’ll be happy to walk with you. Good to keep folks thinking and considering…thanks for sharing. Jesus is my living Savior whom I meet every morning, who goes with me everywhere, who grieves when I do wrong and sustains me in my commitment to do more right than wrong, the One whom I expect to meet at His wedding feast one day. Why do you think Jesus would burn our modern Bible? What about it do you think He would take issue with? You say, “but Jesus says…” Without the written record, how on earth can you know what He said? That doesn’t answer the question. But it does raise another. If Jesus was so adamant that His words not be written down why are two of the four gospels written by some of His closest followers? Were they not listening? And if not, how could we trust any oral record passed down? OK. Now I’m confused. First you say, “Jesus purposefully wanted and went out of his way to make sure the WORD of the LORD would be passed down ORALLY” Now you say, “Jesus was NOT adamant that his words not be written”. How on earth could He be going out of His way to make sure the Word of the Lord is being passed down orally only if there’s guys following Him around making notes of what He said? Forgetting some of the other areas in which you seem to be confused, (like the fact Jesus didn’t just speak the word of the Lord, He *was* the word) you still are making no sense with your basic premise. I definitely see the perspective you are coming from. Jesus is God with us. He was tempted like all of us but without sin. He overcame din on the cross and had found me with His redeeming love. The application of His redeeming power has cancelled out my sin and has given me strength to shut out my sins. He shall return to judge the world and establish His kingdom. I wait for Him. Jesus is the second man of creation, aka, Adam2. He is the first man of the new creation. thanks Beejai for this lovely post…it’s a lucid summary of some of the versions and possibilities. Rubbish in Rubbish out, we focus on God’s Truth not Satan’s lies. God Tells us who Jesus is……..
“Christ”ian Love and Blessings – Anne.